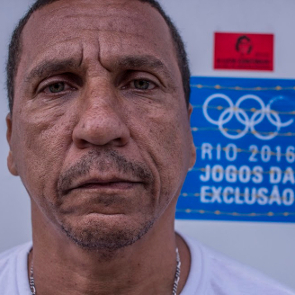 "Claudio, 53, lives in Vila Autódromo, one of the hundreds of poor neighborhoods in Rio, or favelas, scattered across the streets and lush hills of a cidade maravilhosa (marvelous city). The backhoes have already leveled most of Vila Autódromo, leaving his community in ruins. According to the nonprofit World Cup and Olympics Popular Committee of Rio de Janeiro, throughout the city more than 4,100 families have been removed from their homes because of the Olympics." "For the past three years, Silva and his wife Maria da Penha have led a resistance movement fighting to preserve the quiet favela located by the terrain that was designated by the city for the 2016 Games. Most of the 800 families who once lived there were offered a buyout or alternative housing in new condominiums by the mayor's office, but many such as Silva and Penha did not want to leave their community." Until now, Penha and other residents have been sceptical of the government’s promises. They believe they should never have been forced to move and suspect the Olympics is being used to drive poorer communities from an area that has been targeted by developers for upscale compounds. Luiz Cláudio Silva and his wife Maria da Penha are both members of the Association of Residents of Vila Autódromo. They are prominent figures in their community, as they led the resistance against forced evictions ahead of the Olympic Games in August 2016. Vila Autódromo is a favela in the west of Rio de Janeiro, on the edge of the Olympic Park. 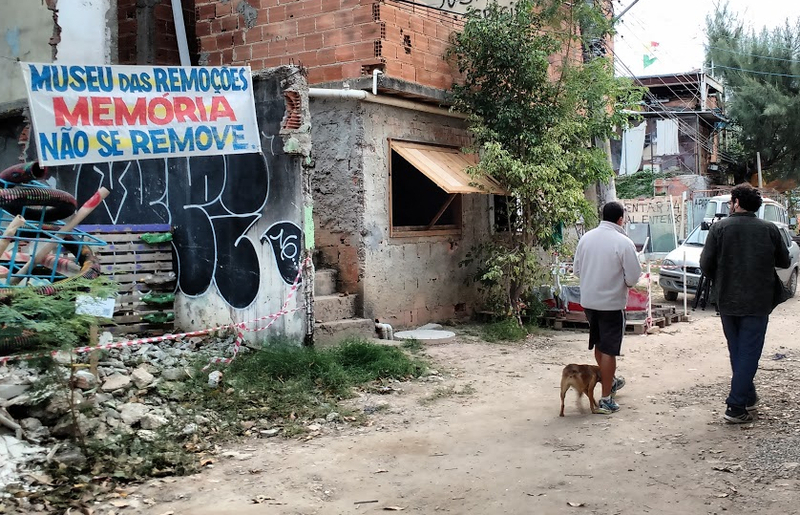 In mid-2015 the police tried to force residents to leave their homes, as Olympic developers were planning to build facilities in that area and wanted to remove the favela to hide poverty from the visitors' eyes. Most of the original 650 families who were living Vila Autódromo were paid to leave and they were relocated in other suburbs, far away from the city centre. In some cases, evictions turned violent and there were clashes with the police. Dona Penha herself was assaulted during one eviction and municipal guards broke her nose. Since the evictions started, the human rights defenders have experienced humiliation, surveillance, harassment and physical attacks. Luiz Cláudio and Maria da Penha are part of a small group of 20 families who peacefully resisted and remained in the community. After lengthy negotiations with the authorities, they were allowed to stay but had to accept reconstruction works in their area. Their home was destroyed by the bulldozers in March 2015 and they currently live in a shipping container, awaiting the completion of the re-urbanization project. In May 2016, the human rights defenders and other community members launched an open air museum, the Museu das Remoções, or Evictions Museum. Using materials left behind the demolitions, Vila Autódromo's residents built seven memorials to honour the houses destroyed. In front of the Catholic Church, one of the few buildings left standing, they also built an Olympic torch made of debris.